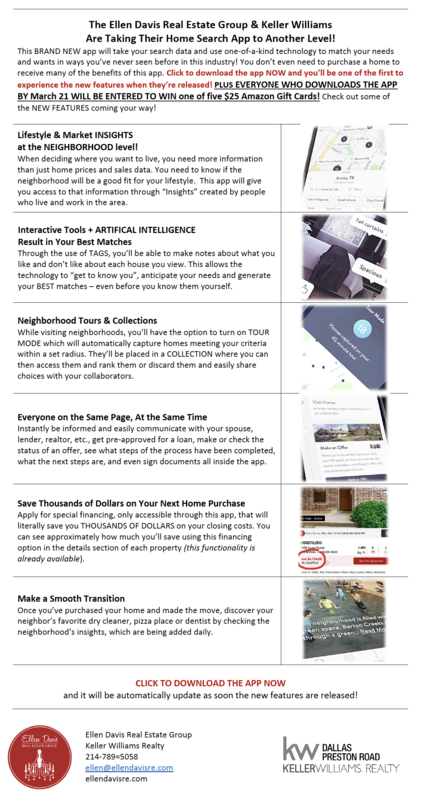 The NEW KW Real Estate App is a Game Changer! 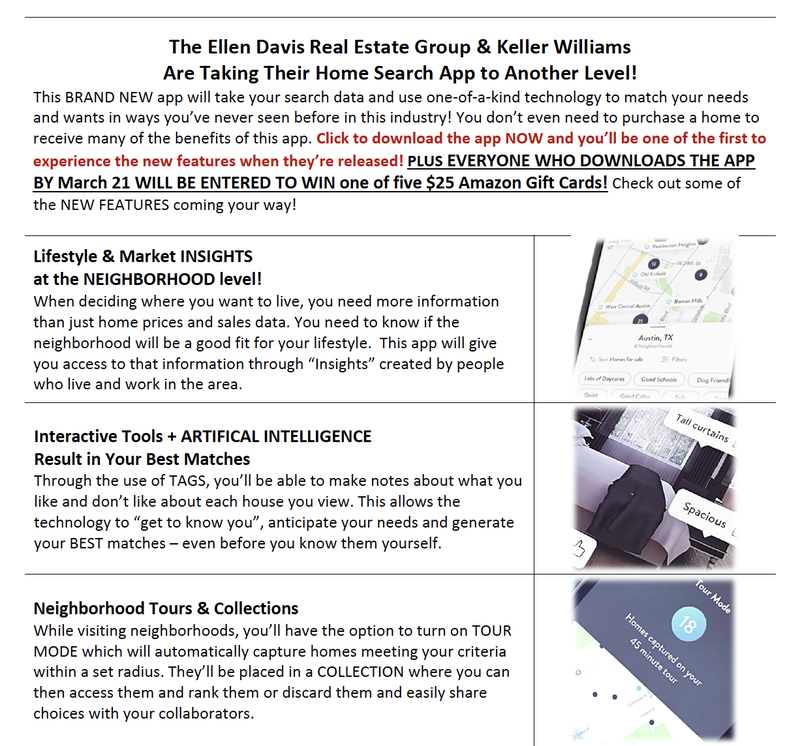 The NEW REAL ESTATE APP Keller Williams is about to release is a GAME CHANGER! You WILL want to use this app when searching for a neighborhood to live in. Check it out AND Go ahead and download it now so the functionality will automatically be available when it’s released. And just for extra incentive you could win an Amazon gift card if you down load it in the next week. Here’s the link.